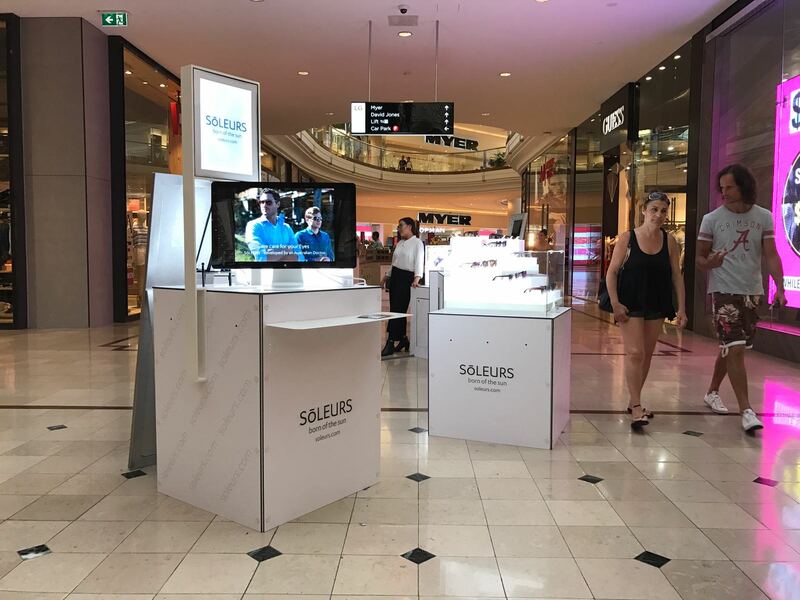 SōLEURS’ collapsible PopUp Store now open at Emporium Melbourne! Look sharp and stay focused with the season’s best sunglasses! This range has been developed to support a wide range of retailers with heaps of storage volume and display area. Colours and branding can be free chosen. The ideal set up for short term product trials and marketing campaigns.